Don't be fooled by August's featured Pokemon -- this Community Day may be the trickiest one yet. A special version of Pokemon Go Community Day is set to take place on August 11 and 12. 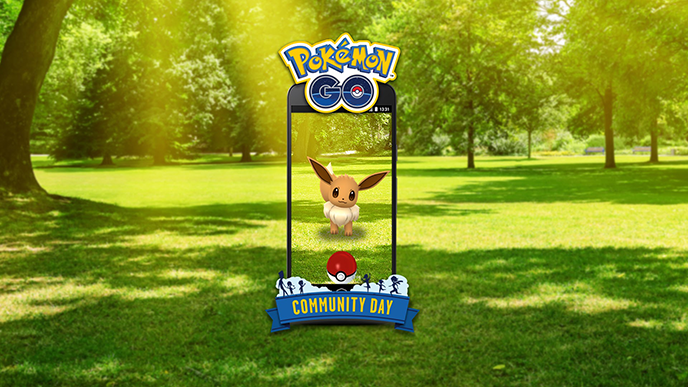 Starring the adorable Pokemon Eevee, August’s Community Day weekend will allow players to encounter Eevee more often than normal from 2 p.m. ET to 5 p.m. ET each day. During each three-hour window, players will earn three times the normal amount of Stardust (the game’s free currency) as they capture Pokemon. In addition, Pokemon Lures will last for three hours during the event, rather than the standard 30 minutes. Finally, every Eevee captured during this event will know an exclusive battle move that’s yet to be revealed. While Eevee isn’t a particularly rare Pokemon, it is one of the most unique creatures in the Pokemon universe, as it can evolve into eight different Pokemon: Vaporeon, Jolteon, Flareon, Espeon, Umbreon, Leafeon, Glaceon, and Sylveon. Only the first five evolutions are currently available in Pokemon Go, but with the game’s developer teasing the arrival of Generation 4 Pokemon to the game (those from the Pokemon Diamond and Pearl video games), it’s possible the two Eevee evolutions from that generation (Leafeon and Glaceon) will be made available before (or as part of) August’s Community Day. Keep in mind, each Community Day so far has allowed players to capture Shiny, or special rare versions of the featured Pokemon. If this is the case for the Eevee event, players will have a chance to evolve their Shiny Eevees into Shiny versions of its different evolutions. A naming technique allows players to guarantee which Eevee evolution they’ll receive by changing Eevee’s name to something specific before evolving it, but this trick can only be used once per evolution. If you’ve already used the naming technique, it will be trickier to guarantee that you don’t “waste” Shiny Eevee and receive duplicate critters. Pokemon Go Hub has a guide to help players guarantee they receive an Umbreon and Espeon, but unfortunately, earning Vaporeon, Jolteon, and Flareon is left up to chance. Plus, players will need to capture extra Shiny Eevee if they want to plan ahead for the Shiny versions of the evolutions that have yet to be released. We’ve reached out to Niantic to see if the naming technique will be reactivated to help players who want to “catch ‘em all” during this special Community Day event. We’ll update this space if we hear back. In the meantime, start preparing yourself to do some major Shiny hunting next month.